Apple’s attempt to revolutionize medical studies appears off to a strong start. Just one day after the company released the first five apps using the new ResearchKit framework, 11,000 iPhone users signed up for one of the studies. Stanford Researchers were amazed at the response for the MyHeart Counts app that studies heart health by measuring a user’s daily activity, fitness level, and other factors. “To get 10,000 people enrolled in a medical study normally, it would take a year,” Alan Yeung, medical director of Stanford Cardiovascular Health, told Bloomberg Business. ResearchKit is a new developer framework from Apple that seeks to harness the vast user base of the iPhone to help recruit people for medical studies. The framework allows developers to take advantage of the iPhone’s various sensors to help monitor activity levels or collect information from Apple’s HealthKit platform. 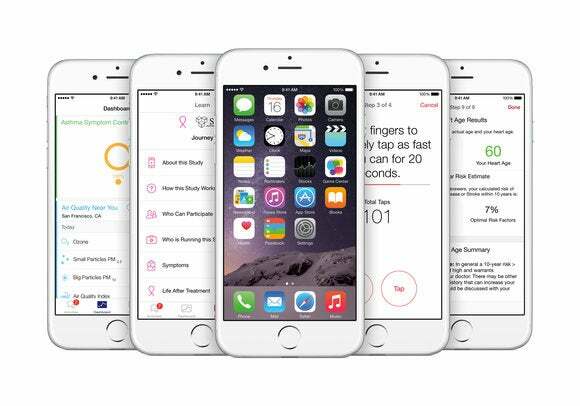 Apple’s ResearchKit is set for a public release in April. Until then there are only five apps that are using the new framework including studies on Parkinson’s disease, Asthma, diabetes, and breast cancer—as well as the aforementioned heart health study. Why this matters: You could chalk up this first ResearchKit success to excitement and curiosity about a new way to use the iPhone and maybe it is. But longer term, ResearchKit could still be a big help to medical researchers even if it only helps recruit people in direct contact with the research institution. It’s not that hard, after all, to download an app. Given that ResearchKit is open source it could also be forked to work on other platforms, further expanding ResearchKit’s reach.